Summer escapes, old-school photos, selfies. 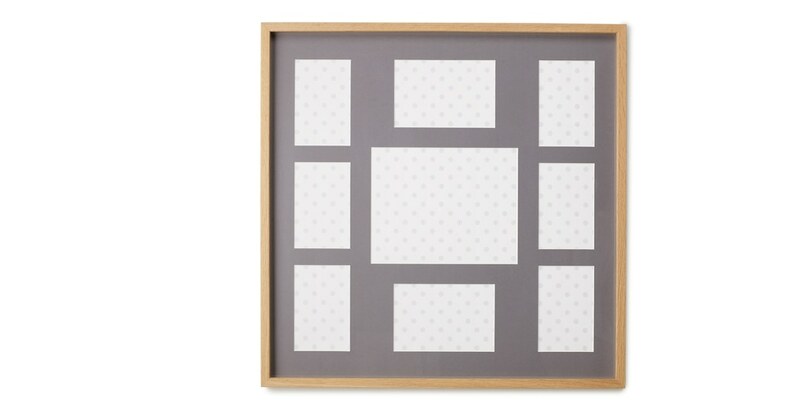 Portland is made to frame 9 pictures so you can pick and choose what to display. Prepped with backing hooks, this frame looks great hanging up, or leaning against the wall on a sideboard or dresser. Portland's solid wood frame and tough synthetic glass makes for a reliable and pretty place to store your memories.